Plum Beach is a coastal neighborhood within North Kingstown RI with water views to capture your heart. Much sought after area within the Saunderstown RI community of RI coastal real estate. So let this location ranch grab your attention at 25 Spring Street today! RI Coastal Home Views | North Kingstown Water View Home for Sale. 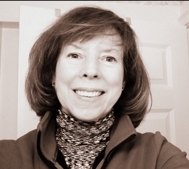 Ginny Lacey Gorman is a Rhode Island waterfront Real Estate Agent who works and knows the North Kingstown RI waterfront geographic area of homes for sale, schools, happenings and important tidbits of information well.